We all know what the PS4 hardware looks like (above), but the PS4 interface or GUI hasn’t been seen quite as often by the gaming community at large. 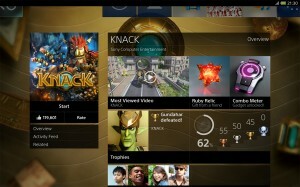 Only one or two PS4 interface screenshots have been shown publicly, and those same few images have generally been reused from one event or promotional item to the next. Thankfully, Sony has just shared some new PS4 interface images, including some that show the appearance of what seems to be a PS4 companion app for tablets. 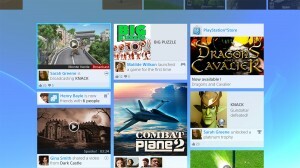 The first new screenshot, linked in the thumbnail to the right, is one of the two most intriguing images Sony shared. 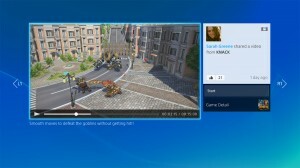 Sony’s own file refers to this image as the PS4 Gallery View for Video, indicating that PS4 owners can view their recorded gameplay videos in a gallery mode that’s actually embedded into the PS4 interface itself. Furthermore, it appears to indicate that you’ll be able to share these videos through the Gallery View itself rather than have to send them in-game from the PS4 game in which they were recorded. Obviously you’ll be able to watch the videos independent of the game as well. The second screenshot, shown here, is also interesting in that it appears to show the PS4 interface as seen in an as-yet-unannounced companion app for tablets. Sony’s internal naming for this screenshot calls it the “Tablet Live Detail View,” and the top-right corner of the image clearly shows that the screenshot includes either a WiFi or 3G/4G/LTE connection, which means it clearly wasn’t taken from the PlayStation 4 itself. 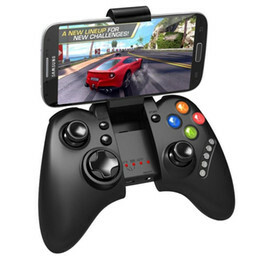 Several publishers at E3 mentioned the ability to experience certain elements of their games on a tablet (a la Microsoft’s SmartGlass with Xbox One), but it wasn’t clear whether each game would have its own tablet app or whether the PS4 as a platform would have a unified app on which all companion game data could be seen. Based on this new PS4 interface screenshot, it seems that Sony’s working on a single tablet app through which gamers can experience and share all their data. Sony’s third new PS4 GUI image shows the system’s new messaging interface. On the surface it resembles an iPhone or Android SMS interface, with the colored text bubbles a la the old Sunday comics, but there’s more to it than that. It obviously includes an avatar for each person typing, but more notably, it supports chat rooms in which more than one person can be engaged in the conversation. The new image didn’t include meta data about the capacity of each PS4 chat room, but it’s obviously three or more based on this screenshot. Now that Sony has removed the PlayStation Eye camera from the core PS4 system to reduce the price, chat functionality like this may be important because there’s no voice or video chat without it. 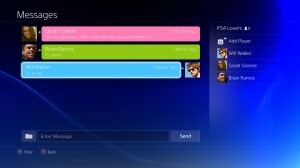 However, I’ve always found text chatting and instant messaging to be incredibly cumbersome on a console, so it will be interesting to see how many gamers actually make use of this PS4 messaging functionality. 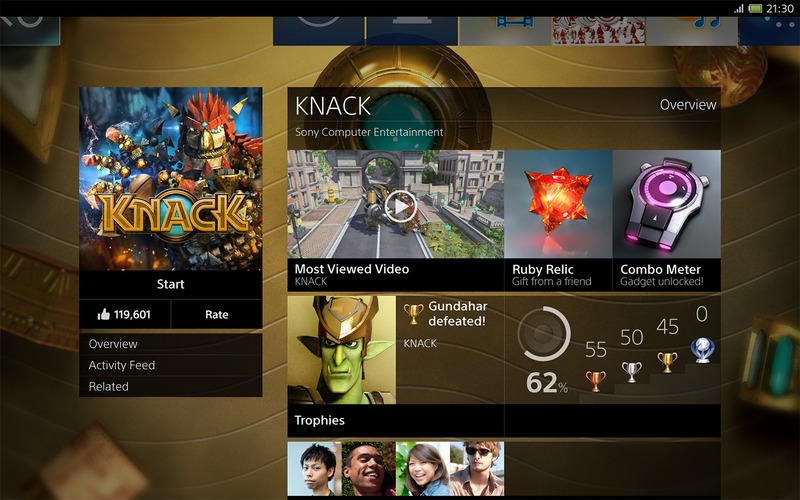 Finally, Sony’s fourth new PS4 interface screenshot shows the “What’s New” section of the new next-gen console’s GUI. This image is similar to screens released previously, with a few nuanced changes. 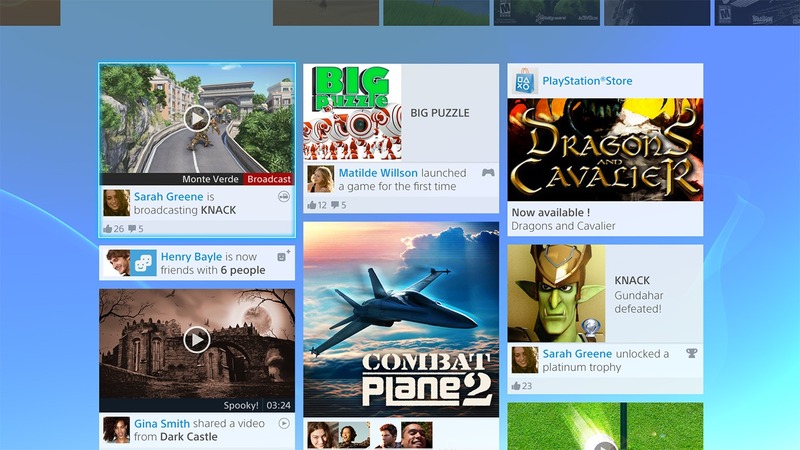 In the initial screens released during E3, the “What’s New” section showed large game tiles and looked more like the current Xbox 360 interface (i.e. 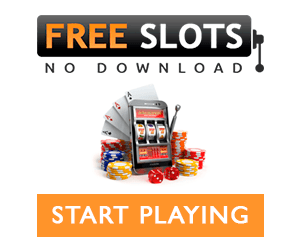 like it was designed to display ads). In this newest update, though, the interface has received a few small additions that both make it more useful and show tighter social integration. For instance, the Knack tile now indicates that one of the player’s contacts is broadcasting a game live, while the Dark Castle tile shows that someone has just shared a video (presumably via that newfangled Gallery mentioned above). 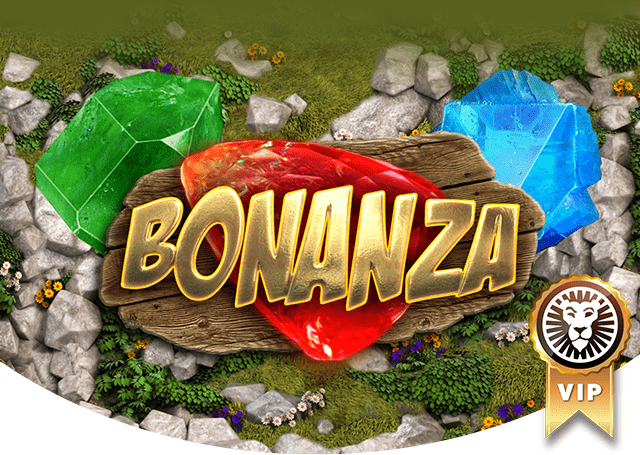 Information about contacts’ new friends and unocked Trophies is present as well, and the overall effect is that the games and interface become much more personal and “real” with the social tie-ins. Additional images are bound to surface in the weeks and months ahead of the PS4 interface, at the very least from Gamescom if not before. As more details and screenshots leak out, we’ll be sure to share them here. In the meantime, make sure you mosey over to Amazon if you haven’t already to get some of the PS4 bundles still available for pre-order. Amazon re-opened pre-orders for launch-day bundles just last week, and they’re bound to dry up again soon, particularly since it’s currently the only way to guarantee a console on the actual PS4 release date.